At Ascend Behavioral Health and Wellness, our clinicians and support staff immediately identify a client’s emergent needs. We provide necessary interventions to aide in stabilization of those in crisis. Utilizing this model, we’re able to assist our clientele in reuniting as a functional member of their family or into an appropriate independent living environment. We strive to include all family members and significant others into the client’s treatment plan, as deemed appropriate by staff and client. The focus at Ascend Behavioral Health and Wellness is to incorporate both the client and their families in changing their approach to everyday life situations through behavioral and attitudinal changes. 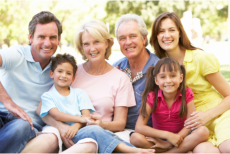 The desired outcome of our treatment program is that the clients and their families will have an improvement in the quality of their lives, thereby reducing dependency on outside agencies. Additionally, the long-term goal is to educate our clients and their families in the skills that will assist them in coping with challenges they may encounter in the future. The ultimate goal of Ascend Behavioral Health and Wellness is to foster a healthy relationship with family and provide the client with the tools and resources to gain independence. We also emphasize the need/availability of aftercare support systems that are available to the families of clients as they continue their goal of independence and healthy family living.